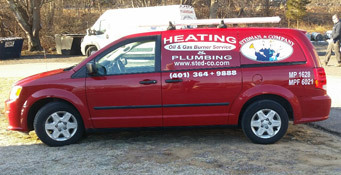 If you’re currently experiencing a problem with your plumbing or heating system, Stedman & Company is only a phone call away at (401) 364-9888. Call today to speak with one of our experienced staff about your issues. We can help diagnose your problem and schedule a service call at your earliest convenience. Our technicians arrive at the designated time, provide you with a cost estimate before starting work, and if approved, complete the work in a clean and conscientious manner. If you’re experiencing a problem with your plumbing or heating, Stedman & Company can help. STEDMAN & COMPANY PLUMBING & HEATING Inc.